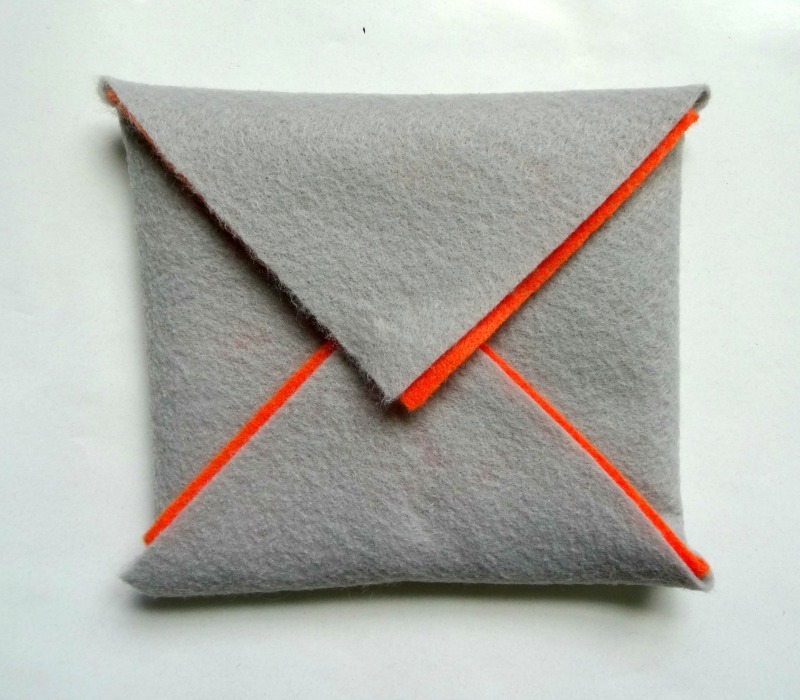 Felt pouches are fun, easy and so useful! They can safely store your sunglasses, cards, jewelry, passports, crafting supplies, the uses are endless. Simply size the pouch to whatever you are planning to put in them. 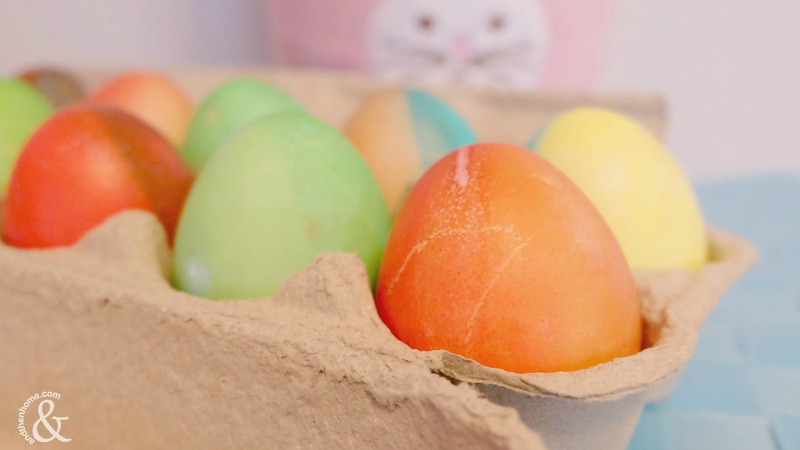 This week we’re going to show you four fabulous pouch designs to inspire your creativity. 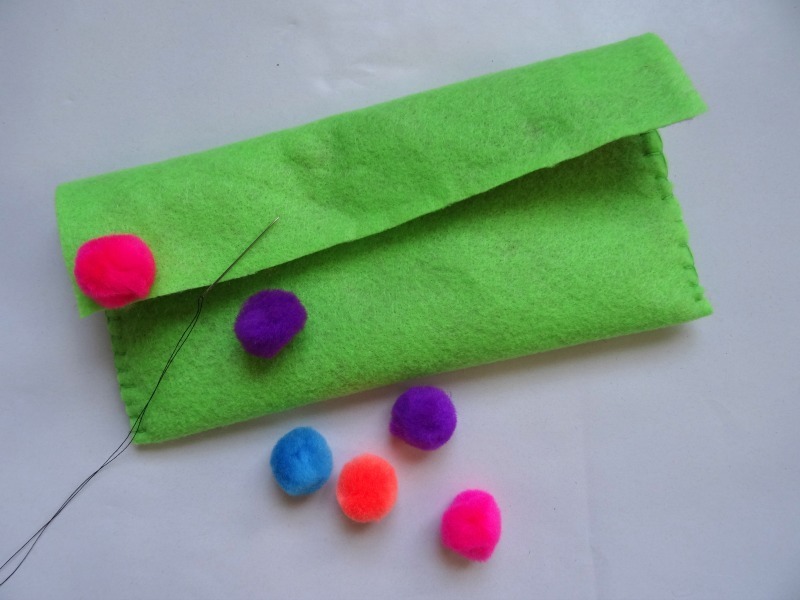 This pouch uses pom poms for a fun pop of colour! 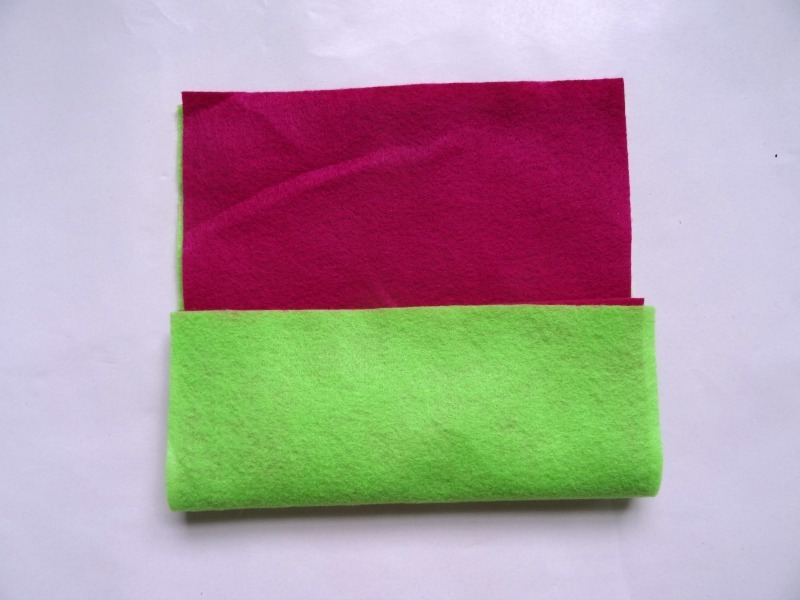 Take two pieces of felt and cut them to the size you need. 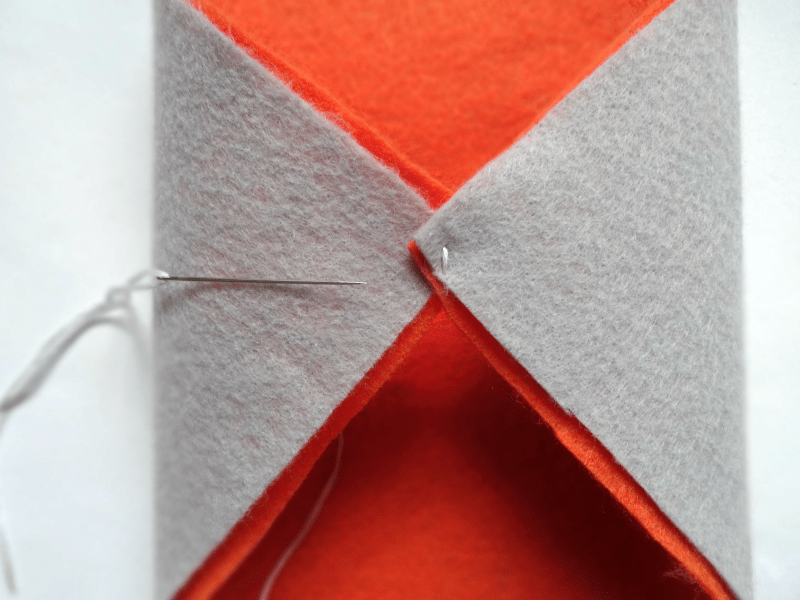 Lay the two felts against either other, cutting the lining slightly smaller than the outer piece. 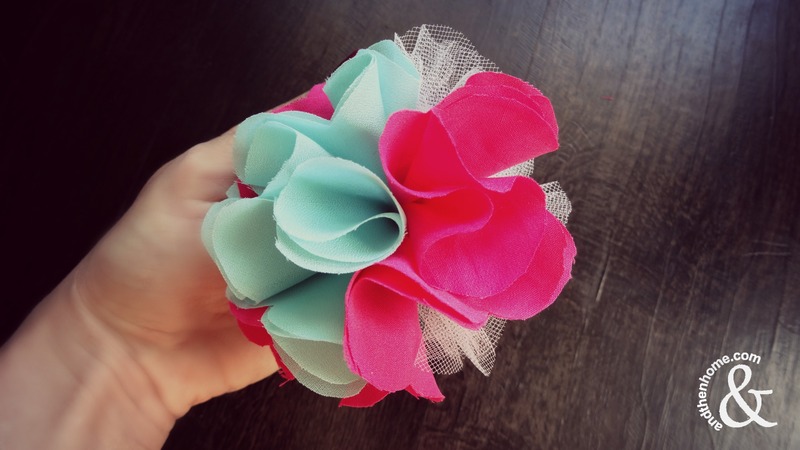 Fold the top half of the pouch down and use some more thread to sew some pom poms along the edge of the flap. 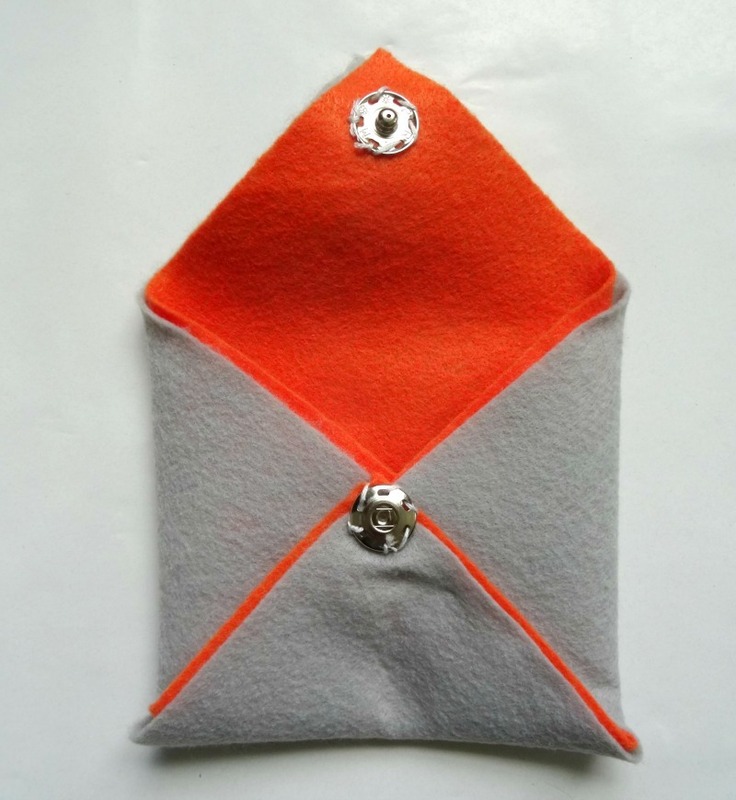 This pouch is made to hold a cell phone safe and sound. 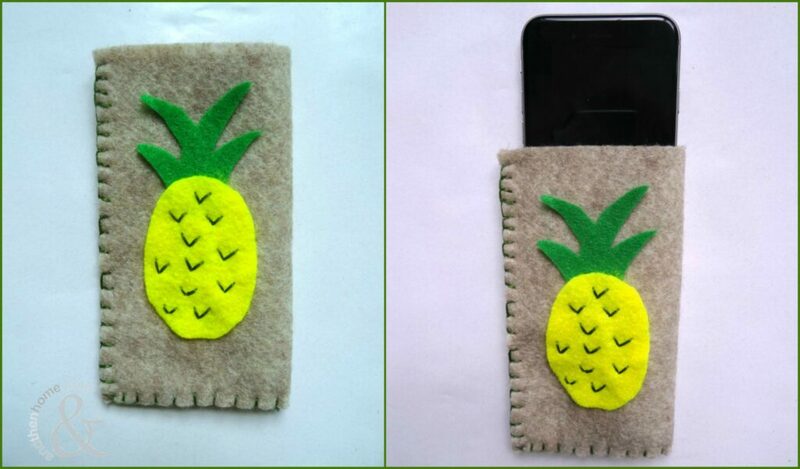 Measure your phone against a piece of felt. 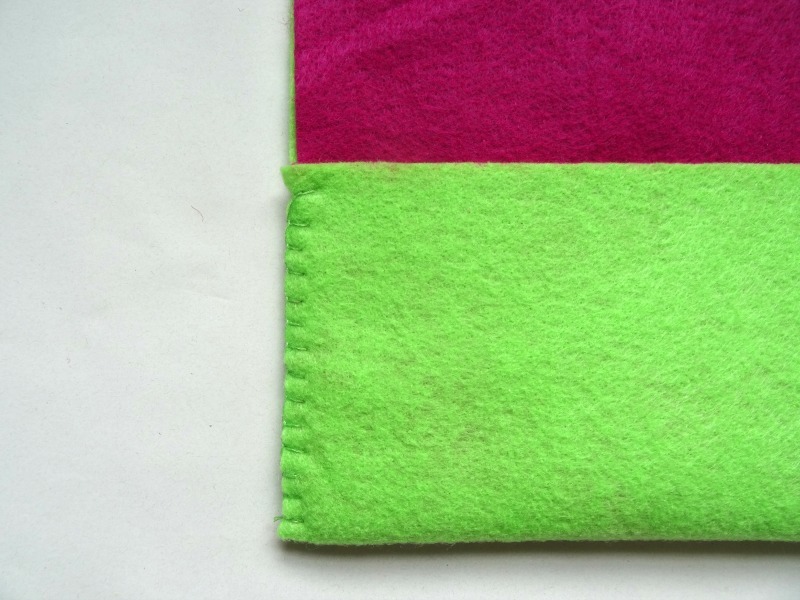 Fold the felt in half and use a ladder stitch along the open edge and the bottom. 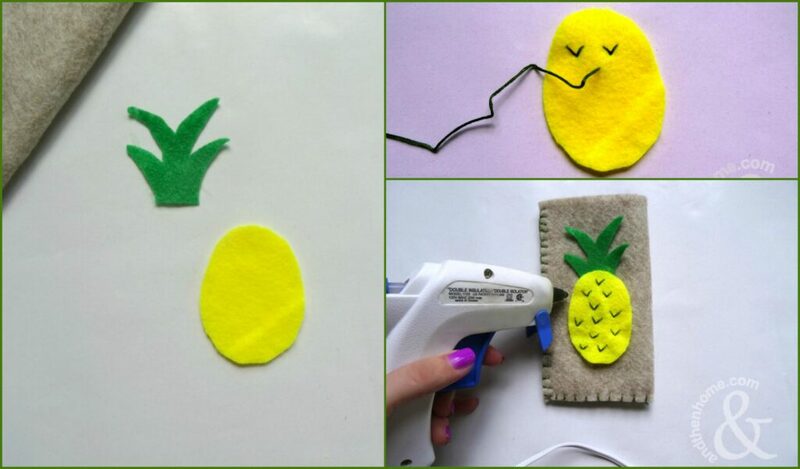 Cut a yellow oval and a green stem from a sheet of felt. 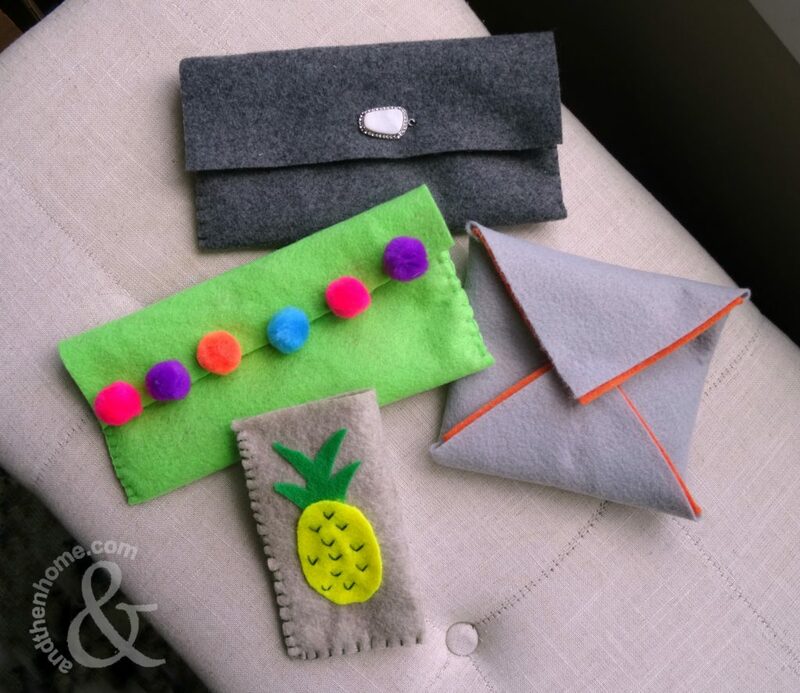 Sew some small chevrons into the yellow oval to make some pineapple spikes and then use some hot glue to attach the pineapple to the front of the pouch. Complete! It’s really just that easy. 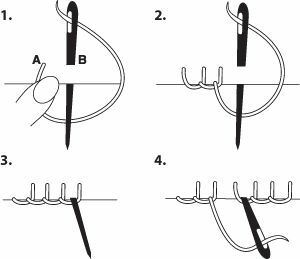 Two stitches is all that’s need here – no joke! 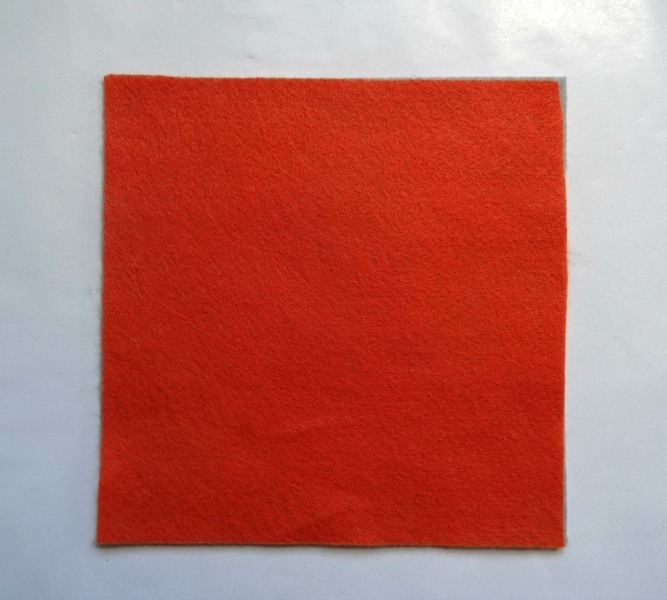 Cut two pieces of felt into a square. It can be any size, but it has to be a square for this design to work. This time, leave the two pieces of felt the same size. 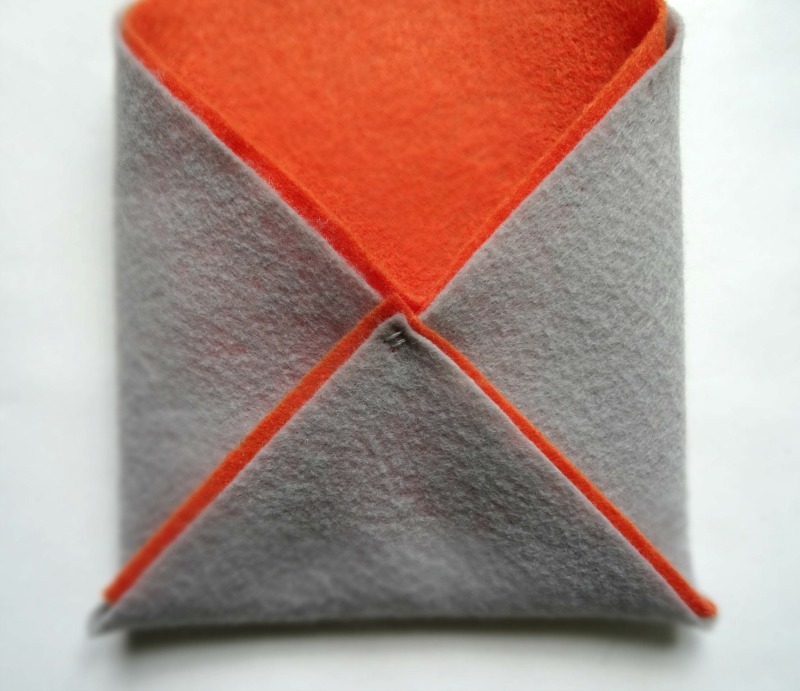 Working with the square turned towards you to make a diamond, fold two corners in to meet in the middle. Secure with a simple stitch. Fold one more corner to meet the other two, and sew this one to the others. Add a snap to the middle and to the remaining loose corner. TA-DA, a five minute, two stitch pouch. 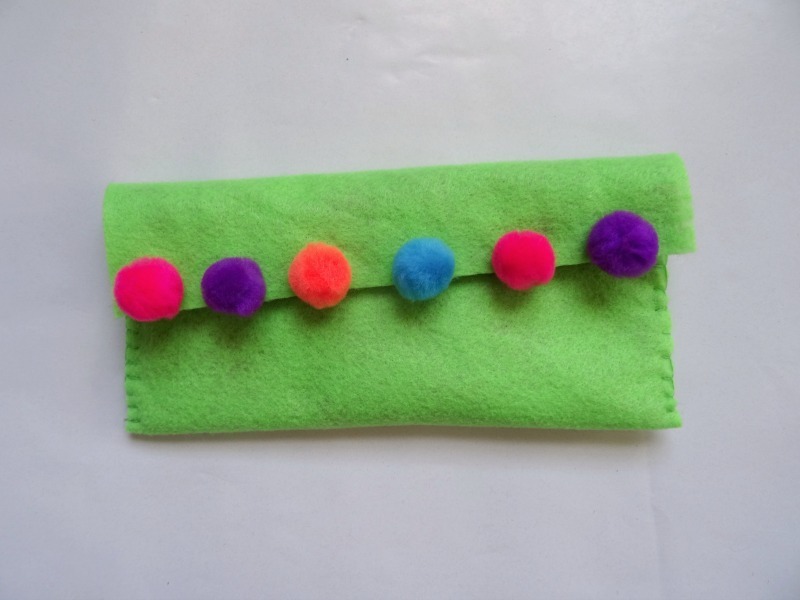 This pouch repeats many of the steps from Pouch #1 but instead of adding pom poms, try adding a brooch or pendant. 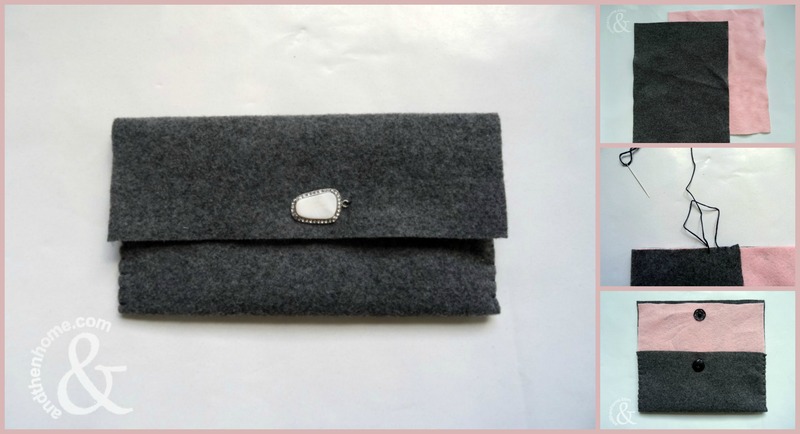 Makes a great pouch for all of your travel documents – Bon Voyage! 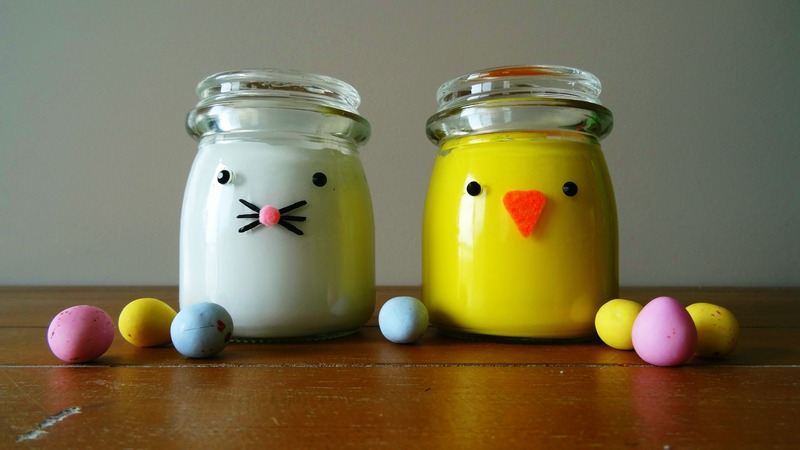 Pro Tip – make a few for different trips. Going to the beach – palm trees and sea creatures. Paris – try an Eiffel Tower. Cruise? – how about an anchor? We hope this inspires you to create many more designs and sizes – be sure to share your project ideas and pics with us in the comment section!